There is nothing more inviting than luxurious hotel-quality bedding. Ideal for your own bedroom or a guest bedroom, a duvet cover breathes fresh life into a room, giving it a style makeover with minimal effort. Do you like to change up the color scheme of a bedroom between seasons to create a new look? Not sure if you want to commit to a brighter or darker color to paint a room and want to give a color a test run? 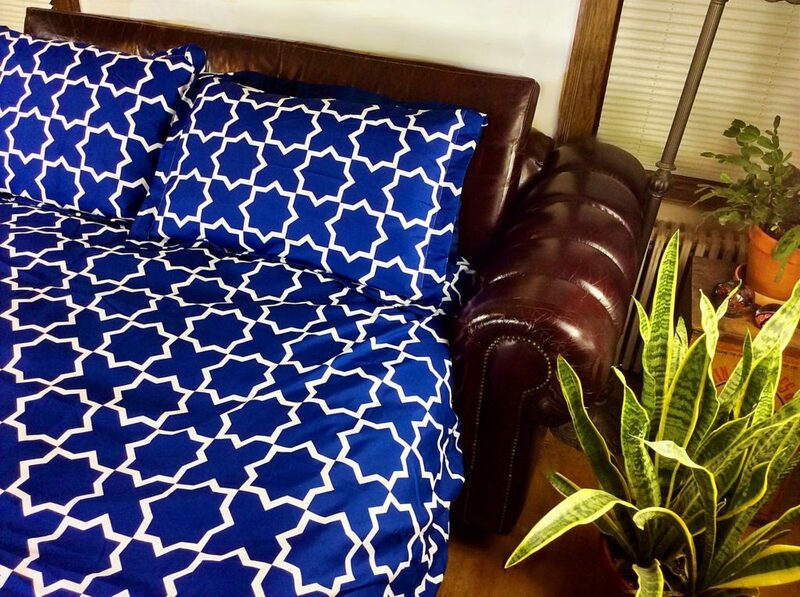 We love the Moodowell 3 Piece Printed Duvet Cover Set for its’ modern vibrant blue pattern paired with a hotel-quality brushed microfiber that is wrinkle-free. Versatile, luxe, and comfortably soft. 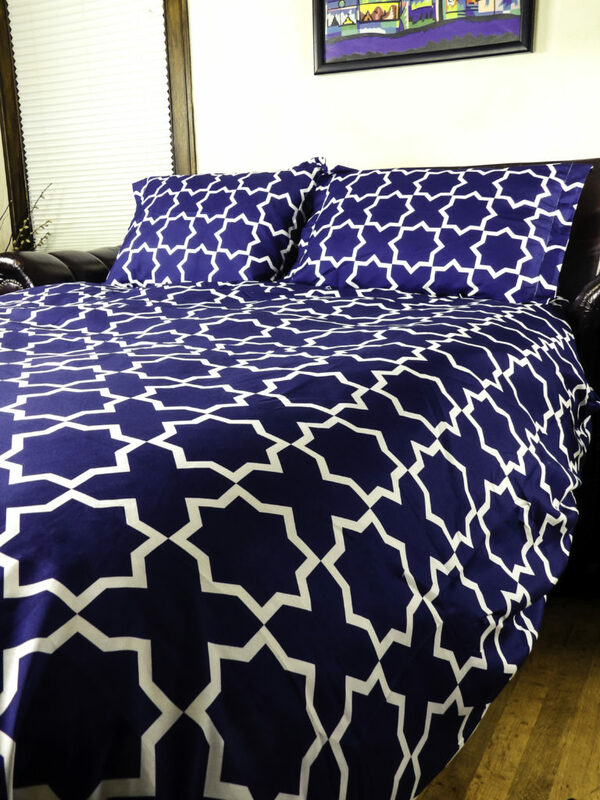 This three piece set includes two shams and one duvet cover. The set comes in both King and Queen sizes. I got the Queen size to fit either on my bed or to use on the pullout couch in the spare guestroom. The duvet cover measures 90 by 90 inch. The two matching shams in this set measure 20 by 26 inch and have a with a 2-inch flange. 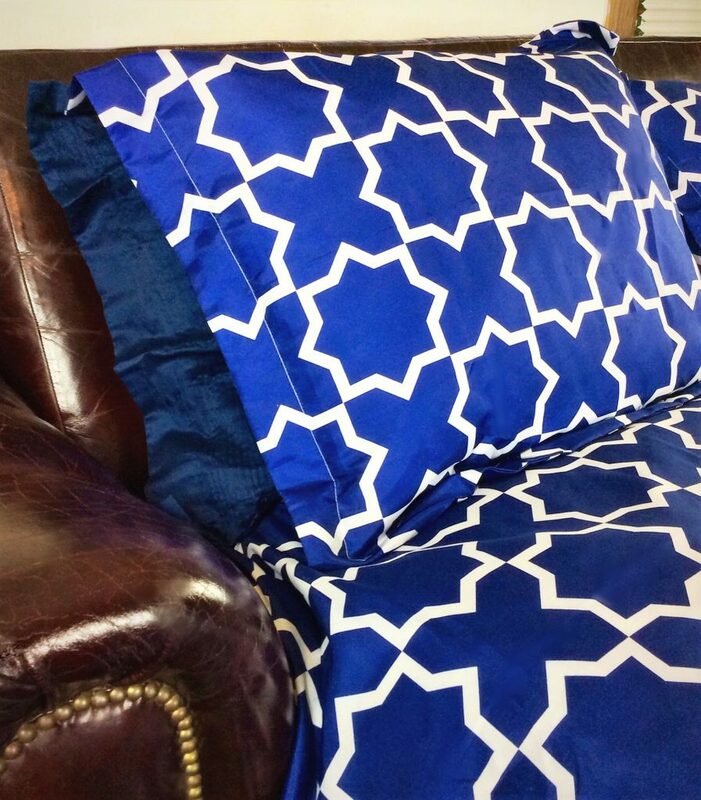 These are large enough to conceal regular pillows behind them and give a matching look to the bed. I like how they coordinate with so many sheet sets I have, creating a lovely bedding oasis. 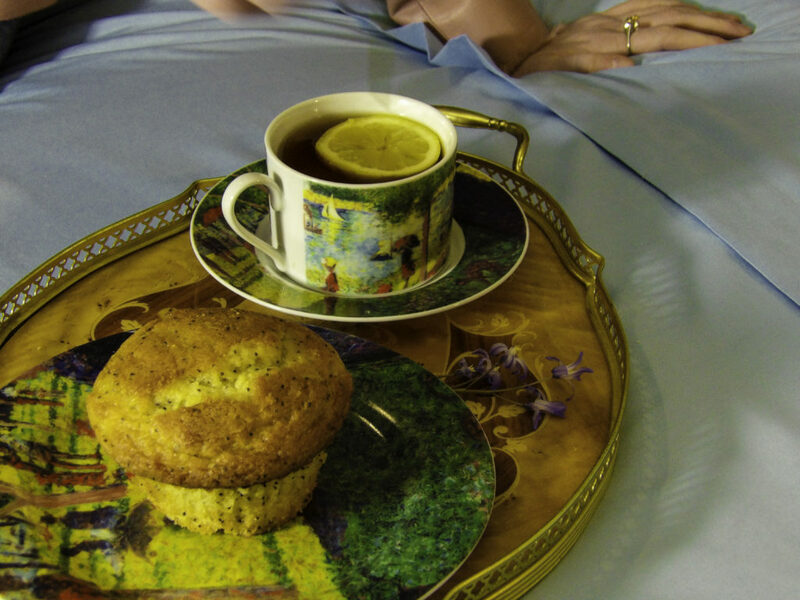 The fabric is similar to those found in hotels boasting quality linens, but unlike some duvet sets that require dry cleaning, this Moodowell set is very easy to launder at home, so don’t be afraid to use this set when drinking coffee in bed, for breakfast in bed, or for guests. 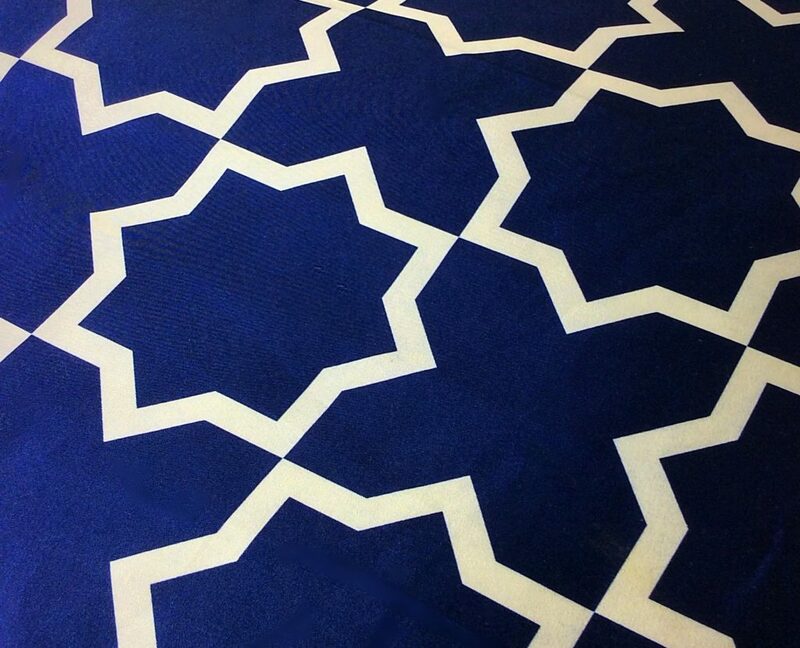 The diamond-cut pattern is comprised of two interlocking shapes of a crisp true white and a vibrant blue, creating a contemporary geometric pattern that is modern but can also match classic styling, giving a fresh look to traditional furniture. Both the shams and the duvet are made of brushed microfiber polyester that is so soft and gentle to the skin, and it is very comfortable and cozy when sleeping. The fabric is Wrinkle Resistant, Stain Resistant, and Fade Resistant. 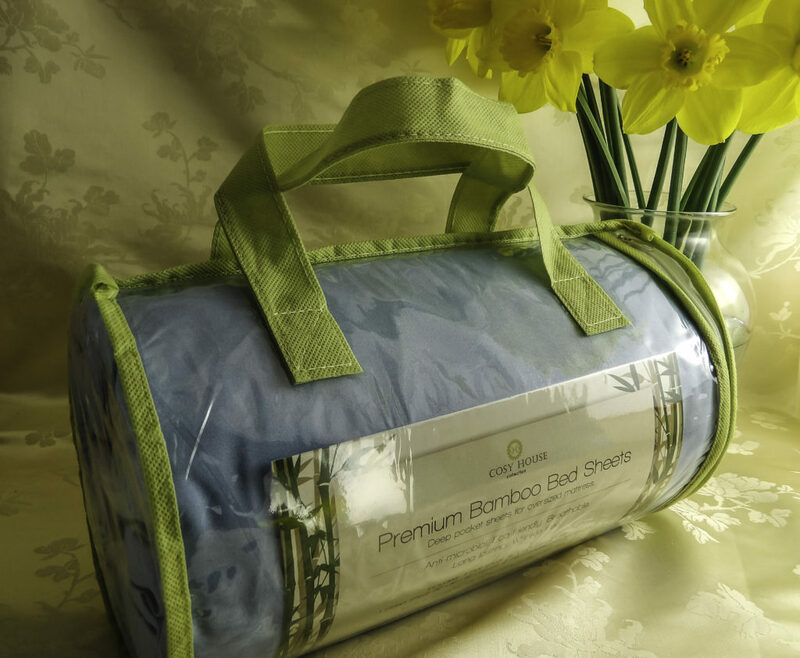 A duvet of your choice fits into the cover discretely underneath the zipper closure. 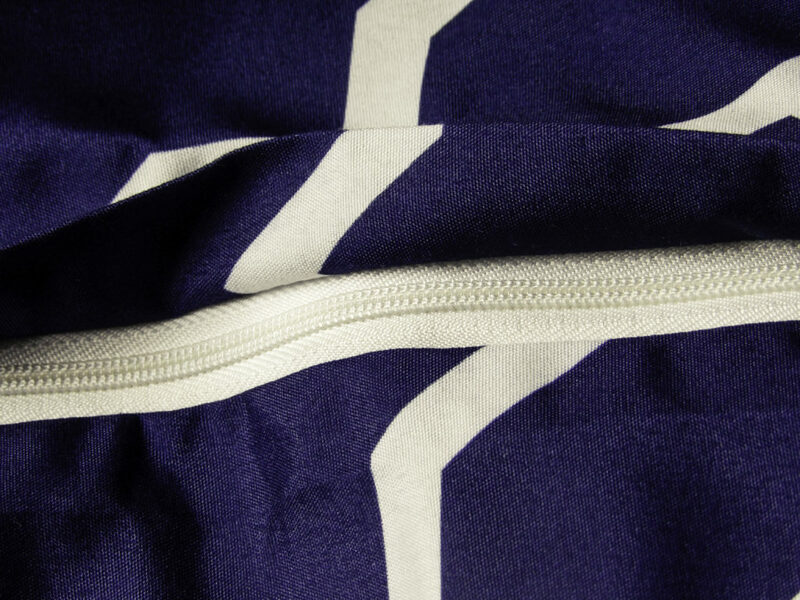 The zipper is concealed by a fabric overflap so that the zipper does not show or scratch the skin. 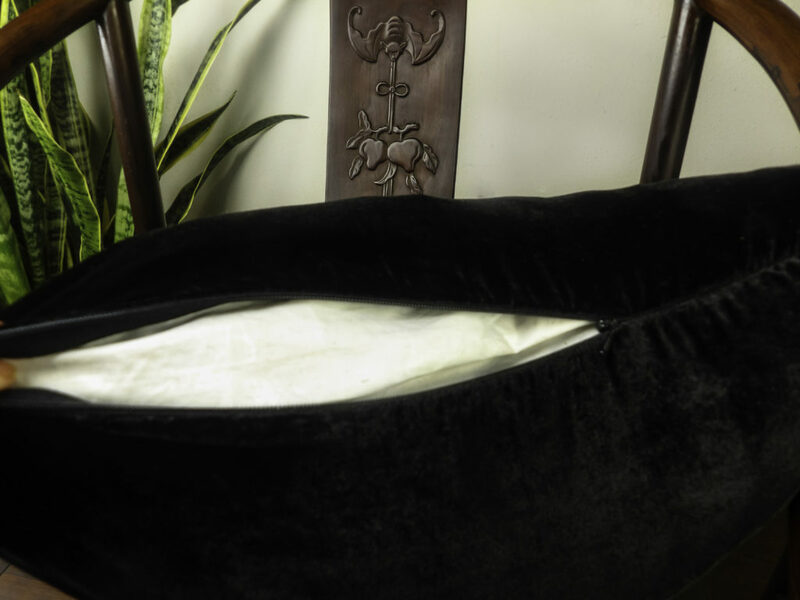 The shams cover a pillow with a generous fabric slot and over flap to keep the pillow in place. There is a two-inch flange on all sides. The stitching is well-done with no loose threads. Despite their hotel bedding appearance, this set is very easy to care for. It is machine wash on the gentle or delicate setting. Remove promptly, and tumble dry on normal, low heat. 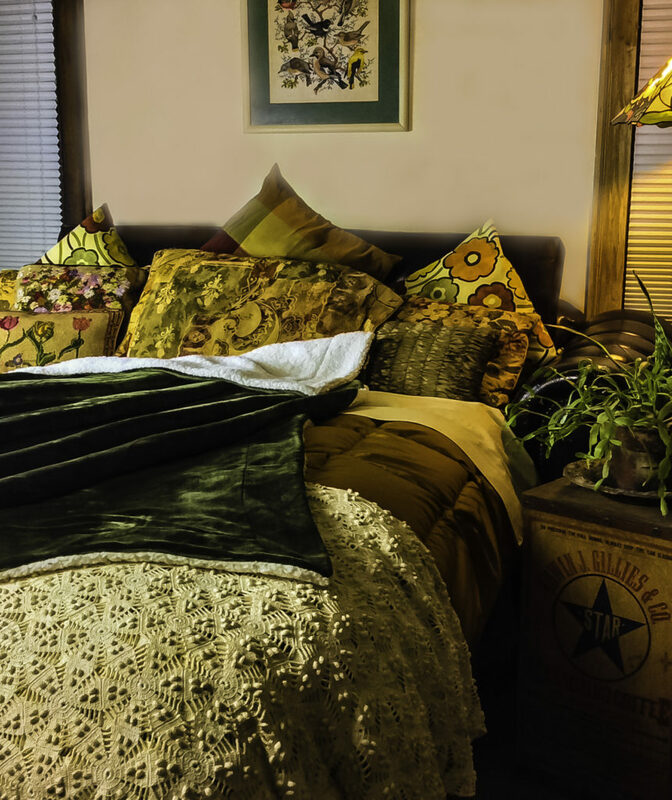 The duvet cover fit my generous, very fluffy down duvet comforter, even though it is a bit over-sized for a queen duvet, it still fits nicely and it does not shift or travel downwards during use. Some duvet covers have a problem with duvets bunching up on one side or settling down into the bottom of the duvet cover and becoming unevenly distributed, I did not experience that problem with this set. The fluffy light comfort of the down was not crushed in this duvet cover, something else I appreciated about Moodowell covers. Lastly, the vibrant blue of the duvet cover did not rub off or stain my pristine white down duvet. Cozy, comfortable, soft to the touch and so attractive! The color really brightens up the room. Quality bedding is a worthwhile investment for better sleep, and this Moodowell set provides an expensive look and feel to the bed with soft, comfortable microfiber. 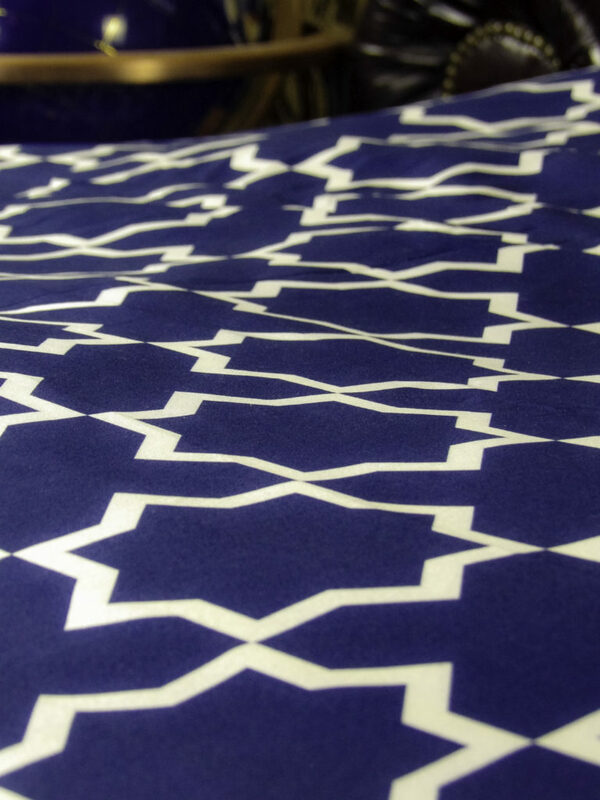 It looks stylish with the geometric pattern in a bright, versatile blue. Nothing beats a quality bedding set that is comfortable, stylish and easy to care for and wrinkle-free. The Moodowell set makes lounging in bed on a lazy Sunday streaming movies, doing a crossword puzzle or reading a good book during a decadent breakfast in bed all the more luxurious. Style Chicks received the Moodowell 3 Piece Printed Duvet Cover Set in exchange for our unbiased review and received compensation for our time and effort. However, our experience with the product and the opinions expressed in this review are 100% ours. Want the warmth of a comforter but the cozy softness of a blanket? Hate how stiff, heavy and bulky some comforters feel? 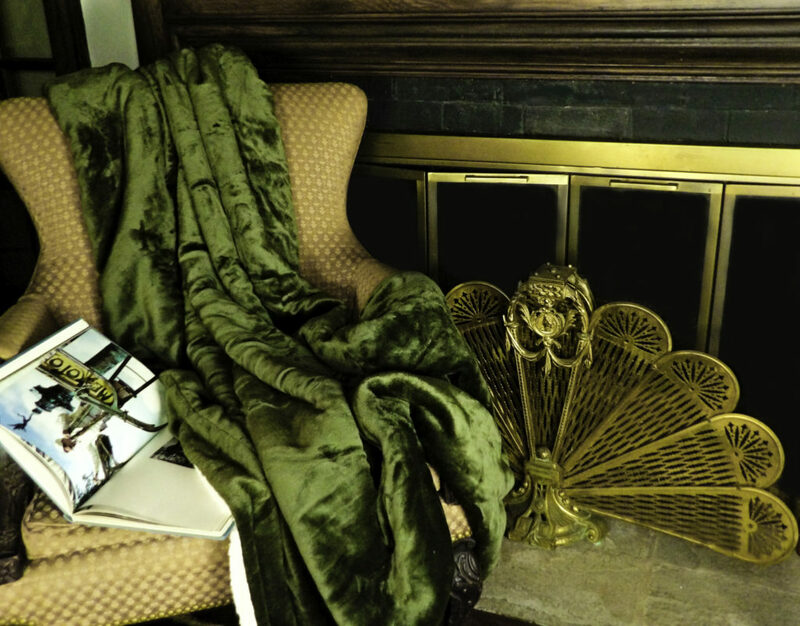 Want a stylish yet cozy throw for watching movies on the couch or reading a good book? We love the microfiber Sherpa Blankets and Throws by Bedsure. 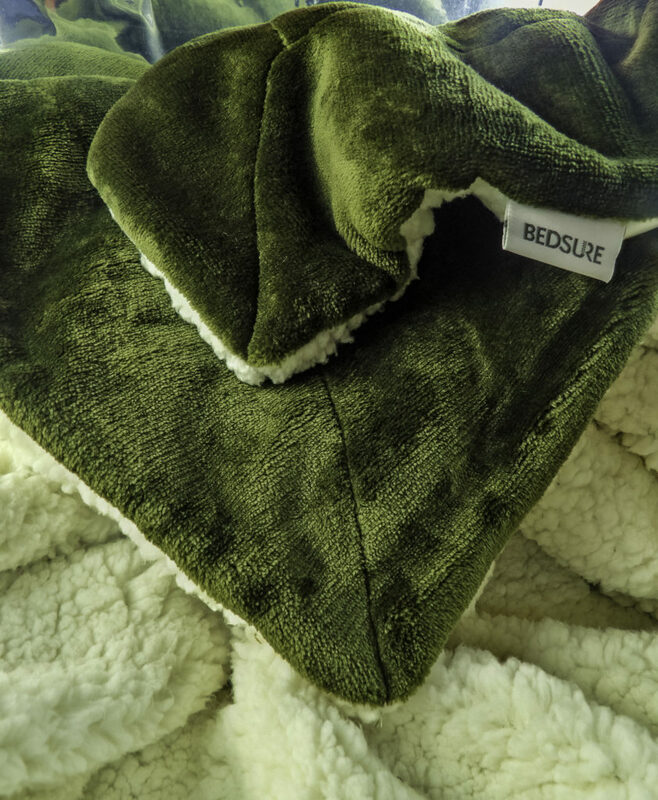 My Bedsure Sherpa Blanket in Olive Green. It makes reading a book by the fireplace cozy and warm without being bulky or cumbersome. 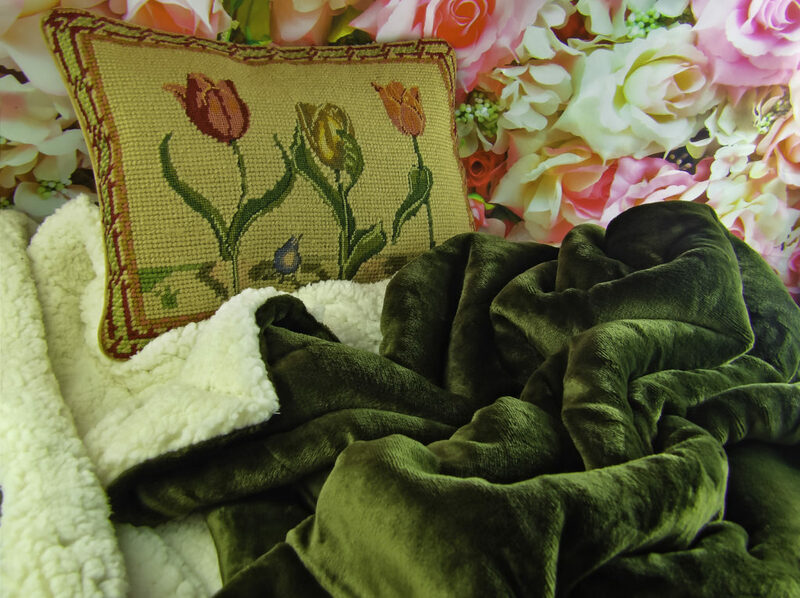 The blanket has a reversible design with a soft flannel face on one side and a plush Sherpa on the reverse side. The flannel top is 220 GSM, which is the grams per square meter, the measurement of the weight of a fabric. The higher the weight of a fabric, the more expensive that fabric is. For reference, a t-shirt is generally around 100 to 130 GSM. The Sherpa reverse is 280 GSM. This is an optimal weight balance of being a quality fabric that tends to be more expensive, while still being comfortable enough to not feel too heavy or bulky. 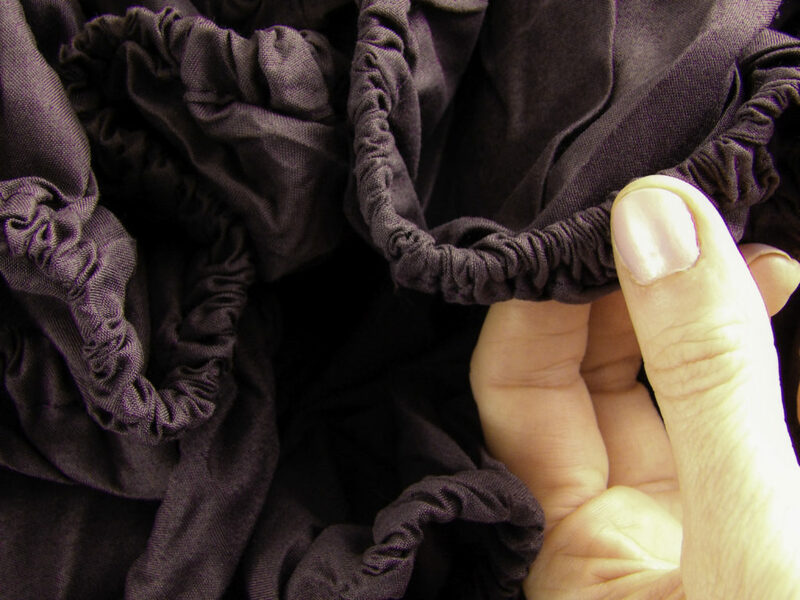 It is a shrink-resistant fabric. I ordered the 60×80 inch blankets and a 50×60 inch throw size is also available. I selected two of the many beautiful color choices and they arrived true to the pictures. There are several color options available including Navy, Brown, Light Grey, Light Blue, Red, Green, Purple, Dark Grey, Olive Green, and Washed Blue. The blanket and throw are advertised as “All Season” and, from my experience, I would agree. 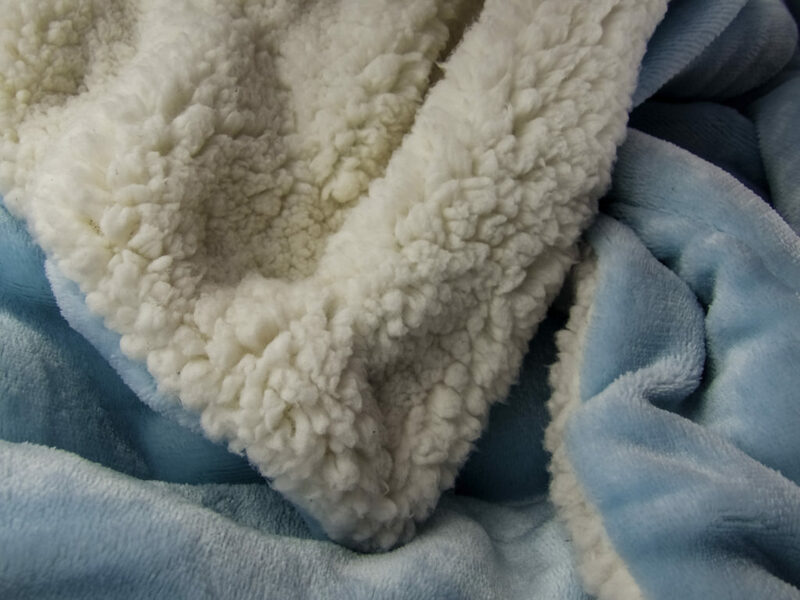 We had a couple of unseasonably cold nights recently and, upon finding myself unexpectedly freezing in the middle of the night (with the heavy winter blankets already stored away), remembered the newly arrived and as yet unpacked Sherpa blanket in the corner, which provided a very pleasant rescue. Despite being as light as a cloud, it was delightfully warm and cozy. Perfect for unexpectedly chilly spring and summer nights! It was only the following morning that just how attractive the blanket is became of interest. It looked every bit as good as it was pictured and, in my opinion, even better. The flat side has a slight sheen and features a nicely finished four-inch border with mitered corners. 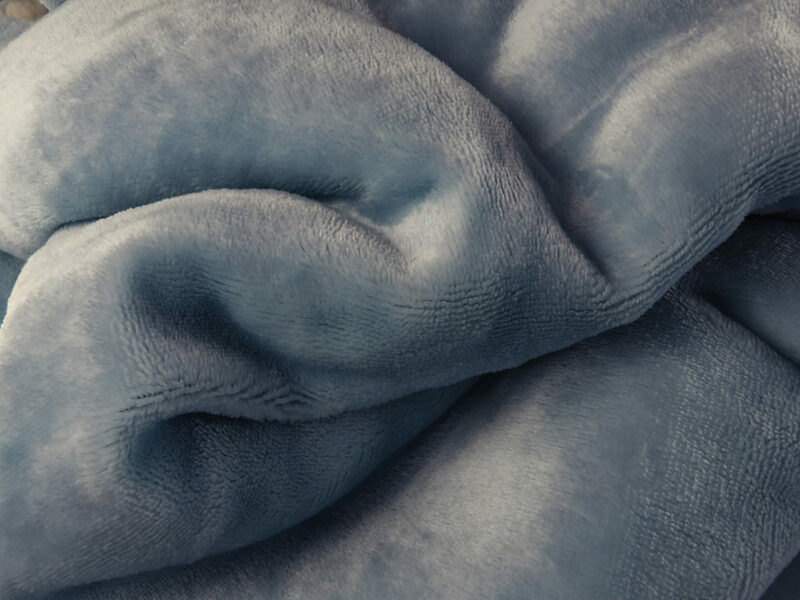 The reversible “Sherpa” side is a deeply-textured microfiber representation of the homespun wool from which it takes its’ name. 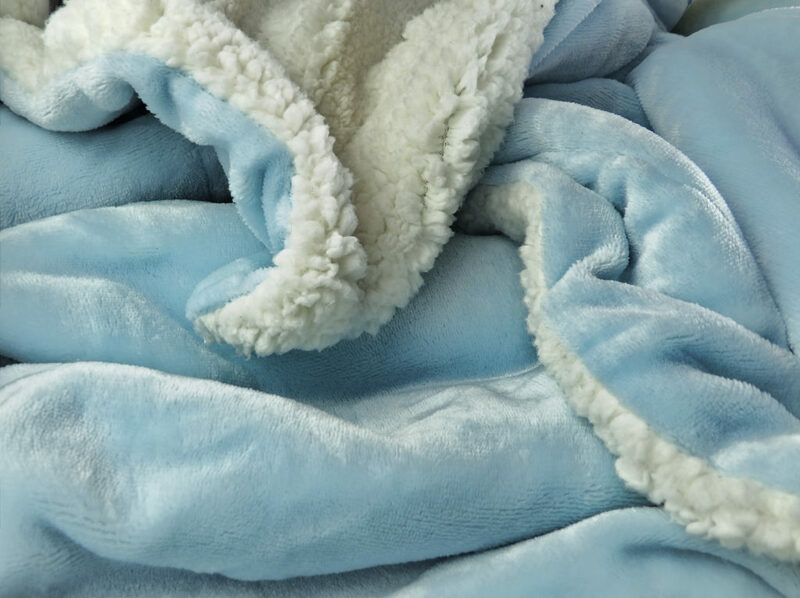 Sherpa faux-fur fabric alone sells in the $15- a -yard range, making this quality blanket with these dimensions quite a bargain. While there is a superior body to the fabric, it’s at the same time, as I’d mentioned, lightweight. Being a person who likes some cover even in hot weather, I’m looking forward to (and I understand my anticipation will be realized by Wednesday of this week when the weather is projected to be especially warm) using the Sherpa blanket when its’ warm enough to turn on the air conditioner. Another feature that I love is there are no scratchy edges to any seam or stitching. The face and reverse are bound with decorative knit-trim edging that gives a luxe look and feels well made. I like having no loose strings or stitching. 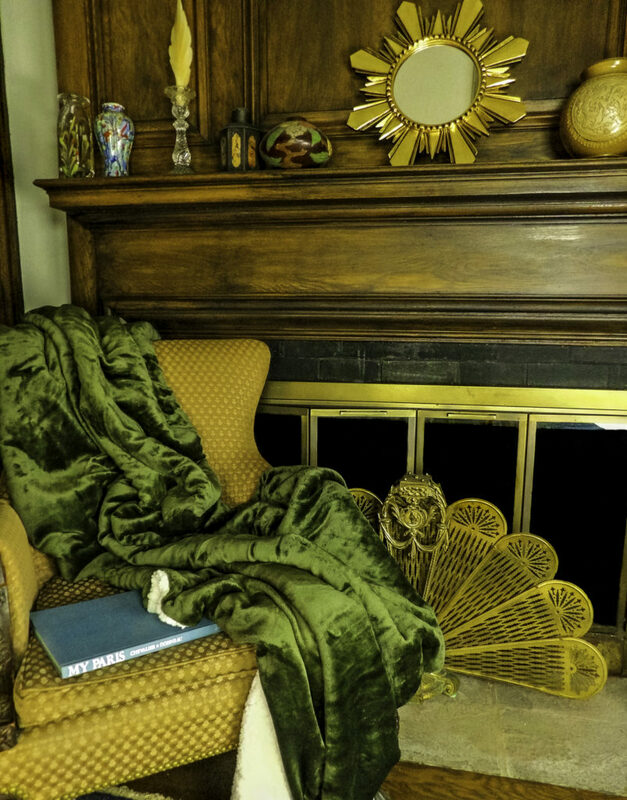 The throws not only come in different colors but different textured weave patterns including a navy and a dark gray knit that has a cabled sweater type pattern, and the ivory throw has an Irish knit look I find very appealing for having on the Queen Anne style chair in my library. I definitely want to add one of the textured- basket weave models as either another blanket or a throw. I’m so pleased with the two I did choose and now have an excuse to get another! BedSure offers a 30-day return and replacement service, plus a 5-year limited manufacturer warranty. 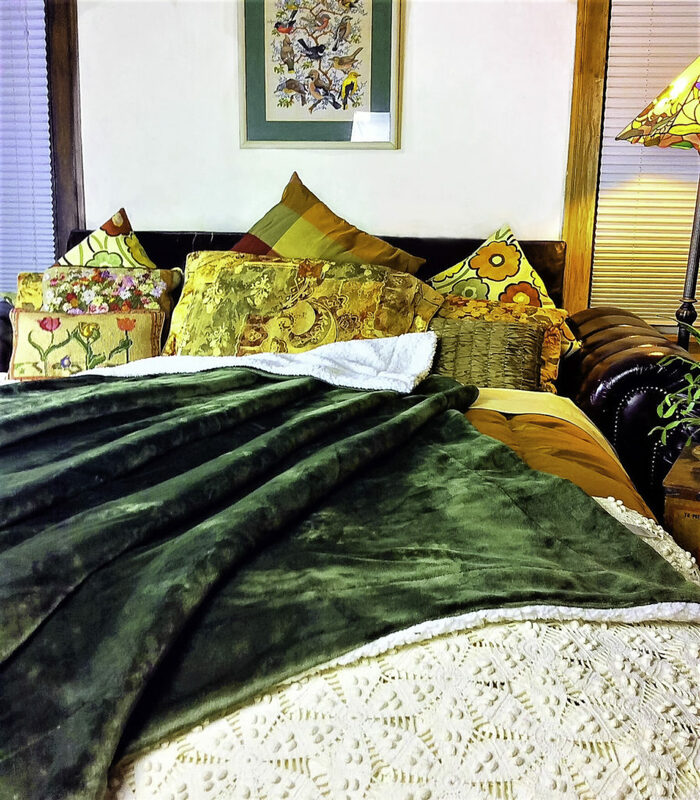 Ideal for a year round blanket for extra cozy warmth, the Bedsure blanket is lovely for personal use or makes a guest feel luxuriously pampered in a guest room. I love how it coordinates with warm autumn colors as seen here, and the olive green makes florals really pop. The luxe feel adds visual texture that compliments so many bedding fabrics and is very appealing to the touch! 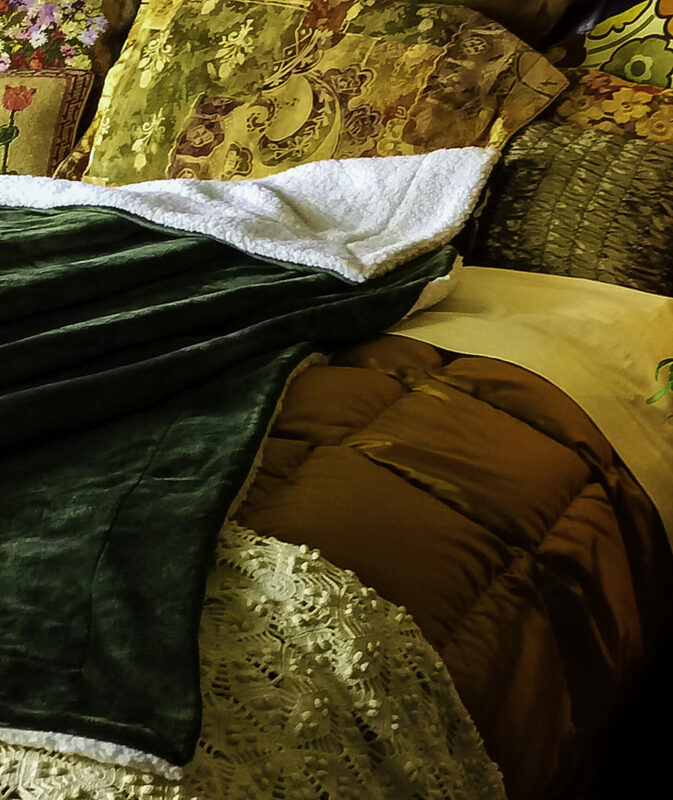 The Bedsure throws and blankets are also suitable for use on a favorite TV chair or couch for streaming movies, or to stay warm while reading a good book by the fireplace in the winter, for extra warmth in the car, and a to have as a spare blanket in a guest bedroom to pamper your guests. 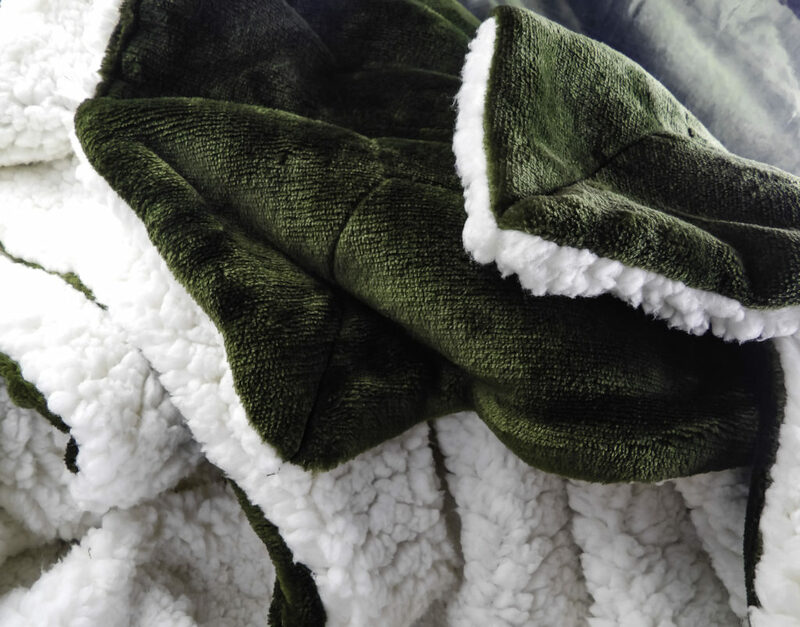 The Bedsure Sherpa Blanket is perfect for cuddling up by the fireplace with a good book! Find the Reversible Microfiber Sherpa Blankets and Throws by Bedsure at https://www.amazon.com/dp/B01MT7ZE09/. From now until July 4th, 2017, use code 29SY3RHI to get 25% off both the 50″x60″ and 60″x80″ size. 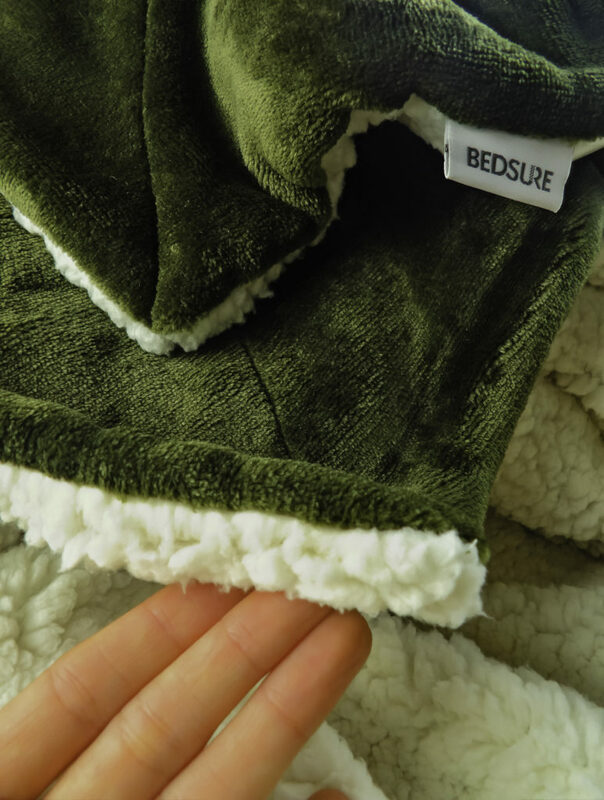 Style Chicks received the Bedsure Sherpa Blanket in exchange for our unbiased review and received compensation for our time and effort. However, our experience with the product and the opinions expressed in this review are 100% ours. A sure sign that you’re adulting? You invest in quality furniture pieces. Whether you browse the antique district or Horchow, buy modern, eclectic, or traditional, investment pieces like well-made side chairs, settees, and rich leather couches, and Chesterfield sofas all become anchors within the decor of your home. But any investment piece can use some personality to make the space your own, like a decorative pillow or throw with a lush fabric or a splash of color. 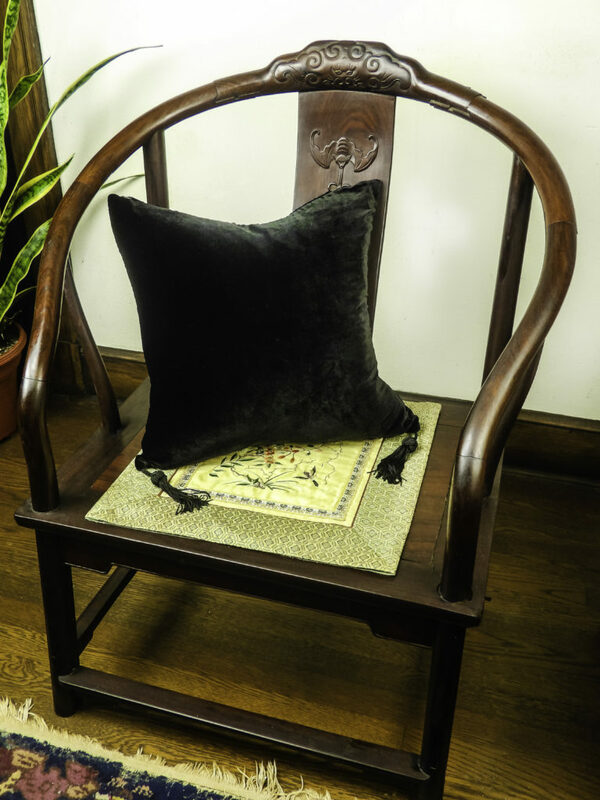 We recently found HomeRight, creator of handmade luxury throw pillows made from sumptuous fabrics that lend an opulent, custom yet inviting look to the conversational and sitting areas of your home. You invest in a statement piece of furniture, whether modern or traditional … and it looks beautiful. But…it’s not so inviting to sit upon and create the stylish yet inviting conversational nook you envisioned. Want a professional decorator’s trick to make a sitting area more inviting? Add some warmth to traditional furniture choices with decorative pillows and throws that add texture and color to neutral or eclectic pieces. 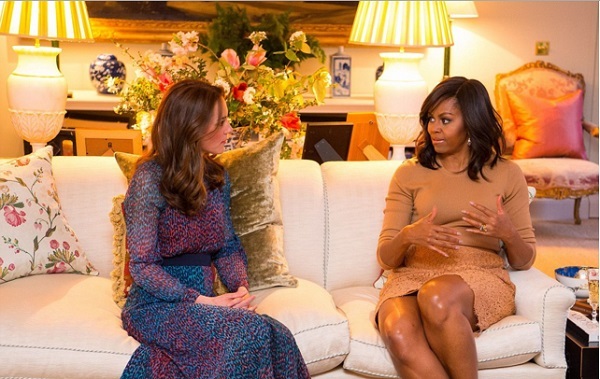 An example of this design technique seen is in April 2016, when William and Kate invited the Obamas back to their private residence, we saw photos of their sitting areas and saw numerous (like 20) rich fabric and texture pillows on deep couches. 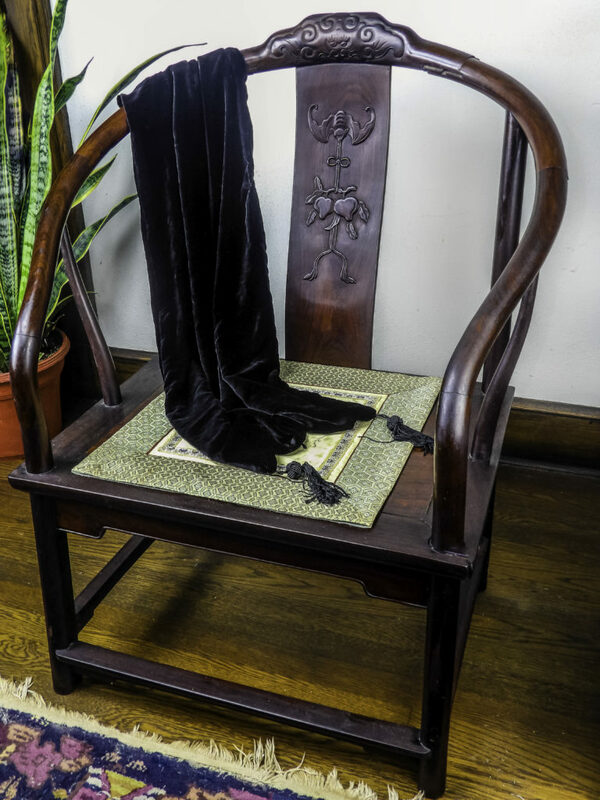 They are attractive and makes it more comfortable for guests to be seated. A pillow cover is a highly versatile way to change the theme of the room seasonally or give a fresh look to existing furniture. HomeRight believes that your home should be a refuge. What makes your home feel like your own private space to regroup and recharge? HomeRight says to create a “Me-Space”. This “Me-Space” is greatly enhanced by decor that makes you happy and reflects your own style with color, texture, and design. 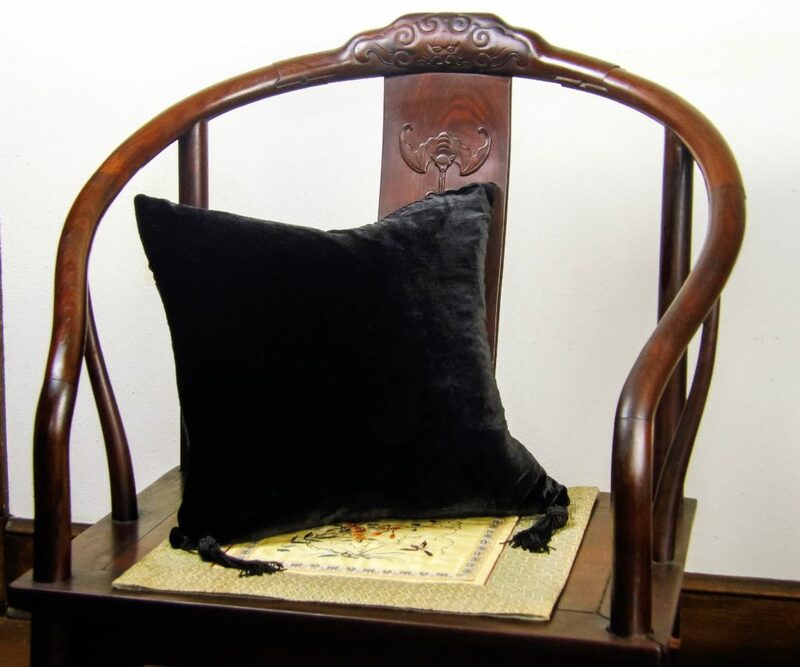 The HomeRight Black Silk Velvet pillow is a handmade pillow cover which is 18″ x 18″ and made of a sumptuous black silk velvet, where the silk fibers enhance the look and feel of the velvet, increasing its’ durability and preventing the velvet from getting that crushed flat look that can happen with some velvet items. The pillow is available with or without generously sized black tassels. 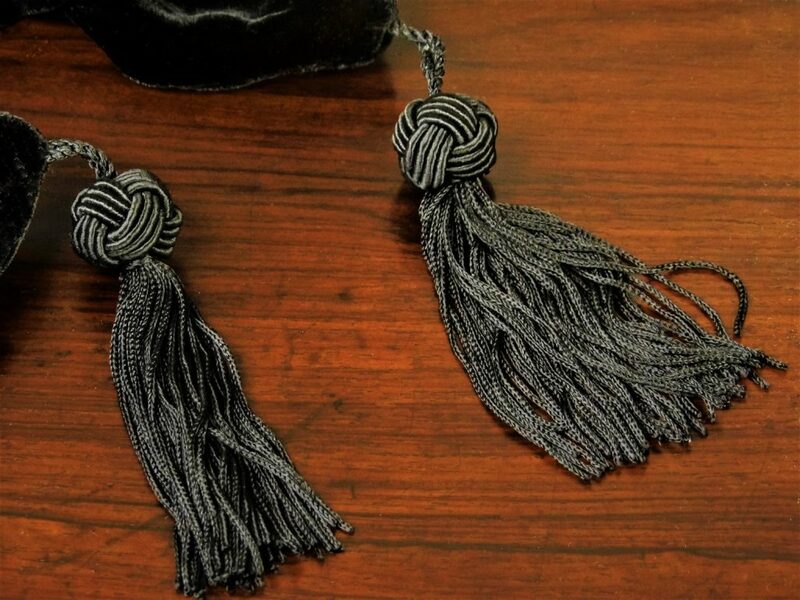 They are large, full tassels, I like the drape of them. 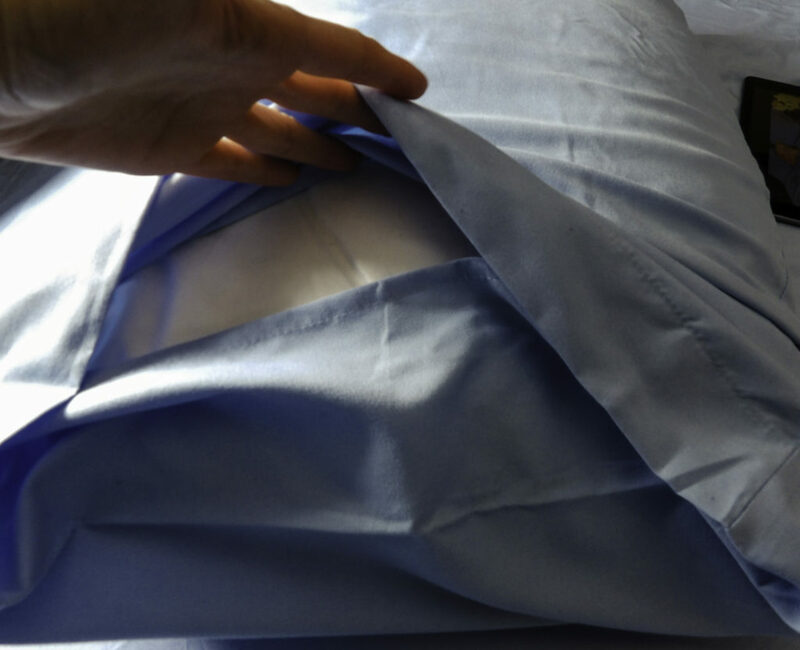 It has an invisible zipper for inserting a base pillow inside of 16 to 20 inches. For the fullest look, choose a larger size insert pillow. The pillow also has a coordinating throw, which has tassels at all corners and is long enough to drape dramatically without overflowing or being too bulky. 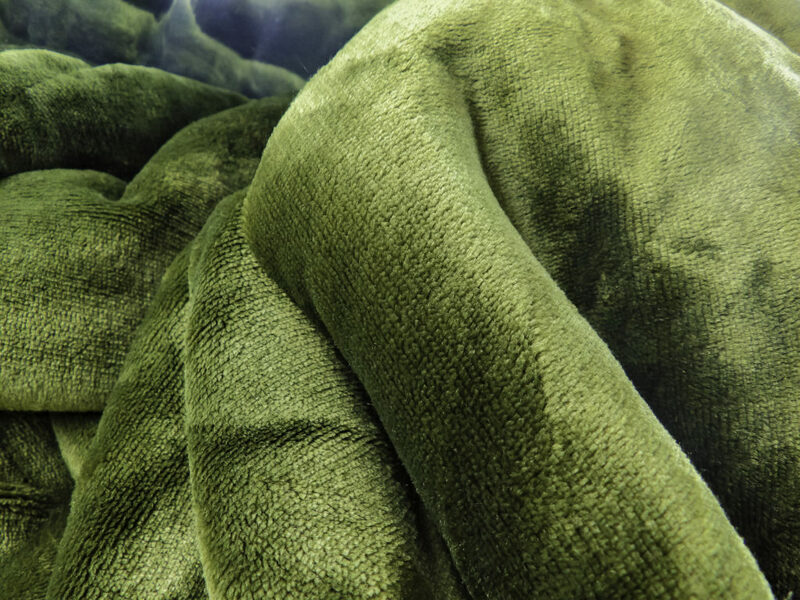 The velvet has silk fibers that have a luster, feel and drape of an expensive, luxe velvet. It is soft and luxurious to the touch and comfortable against the skin. 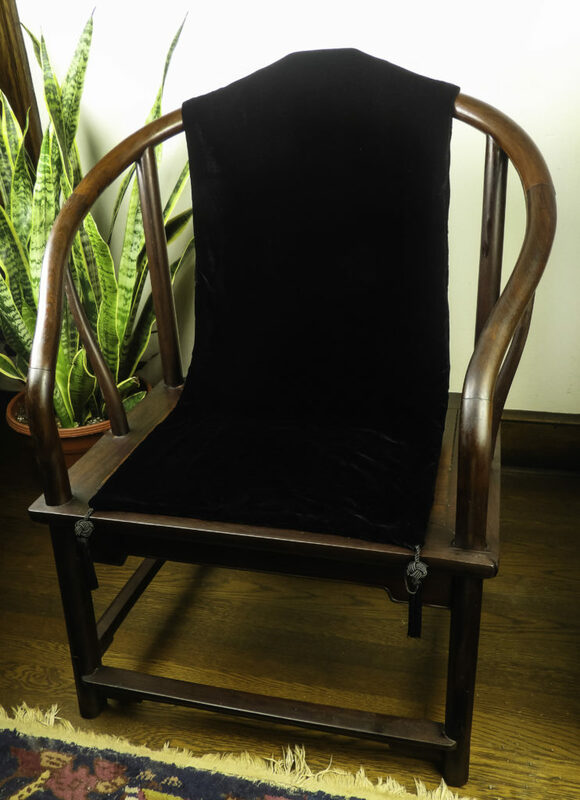 It works with velvet, crewel, and silk upholsteries, as well as solid wood or leather furniture pieces. It is machine overlocked inside for added durability. 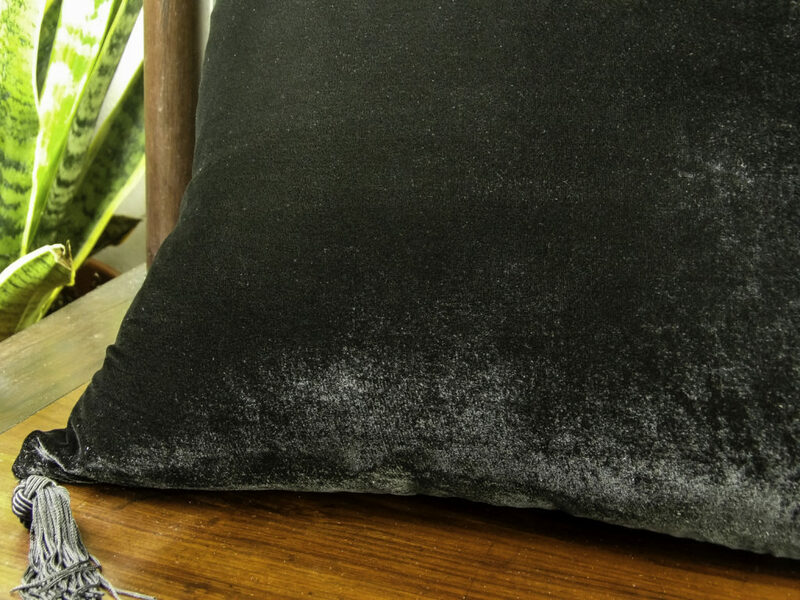 Silk fibers make the velvet pillow soft to the touch and give an attractive sheen. I have a formal living room but wanted to add some warmth to my sitting areas, so these pillows were a good fit. One place to use the pillow was on my side chairs. Guest always comment on these chairs, but no one sits in them. 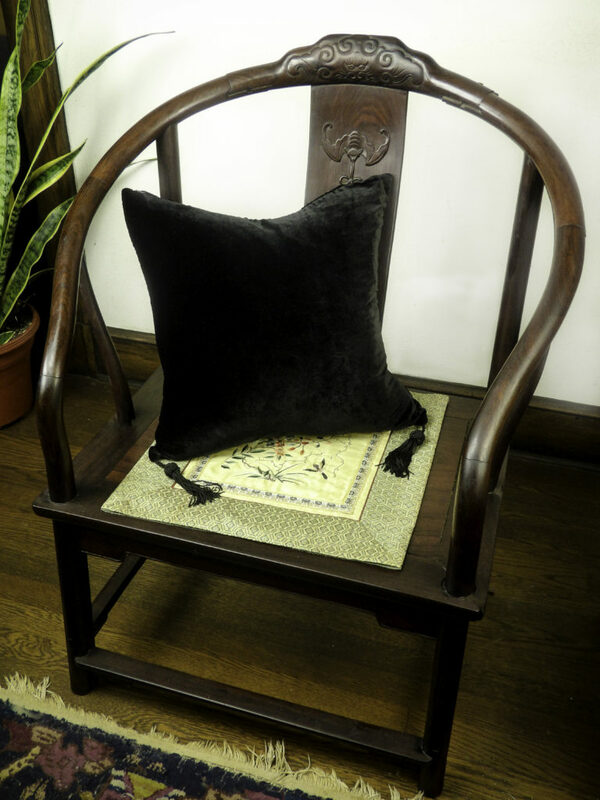 I paired the 18×18 inch velvet pillow with an antique teak Chinese chair to make it more appealing to sit and talk to people sitting on the adjacent perpendicular couch. 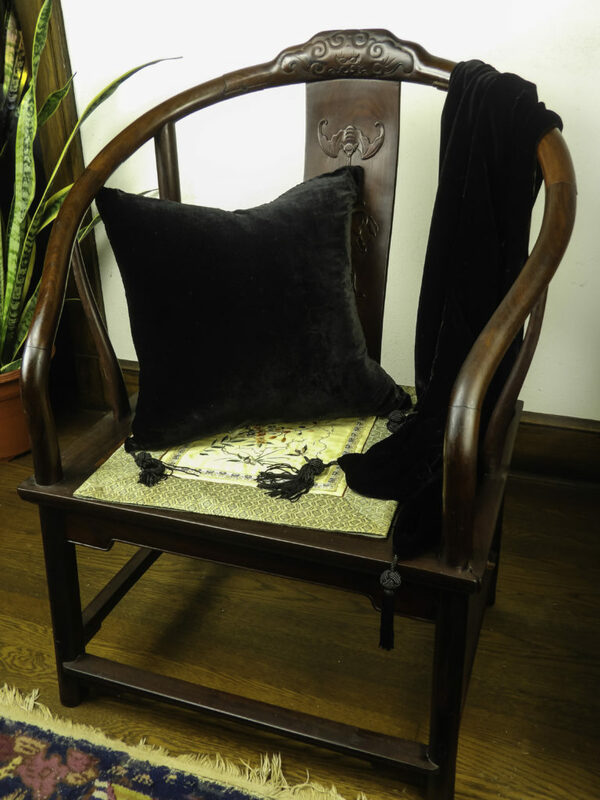 The dark color fits the style while the opulent fabric added some warmth to the colder wood feel of the chair. Another way to make these chairs more appealing for guests is a throw to soften the harsh lines and make it more welcoming. 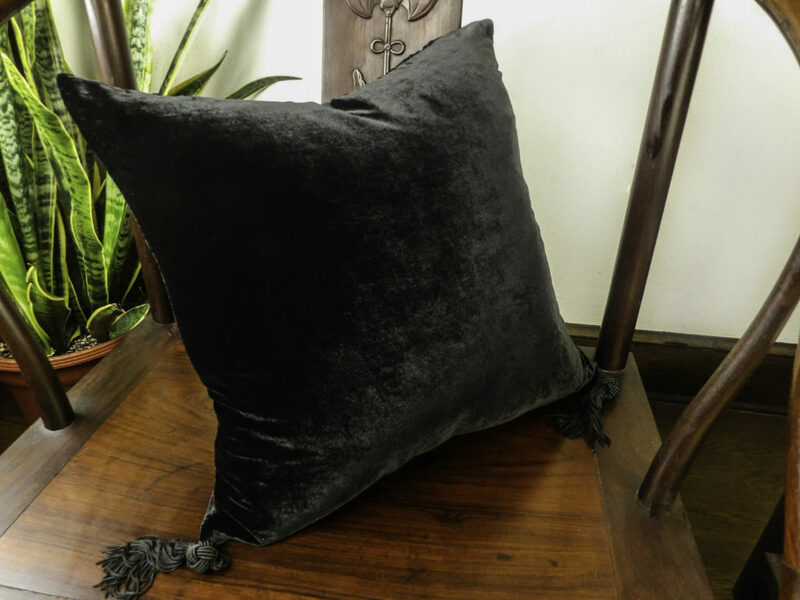 Style Chicks received the HomeRight Black Silk Velvet Silk Pillow and Throw for evaluation purposes in exchange for our unbiased review and received compensation for our time and effort. However, our experience with the product and the opinions expressed in this review are 100% ours. Nothing beats a good nights’ sleep, and soft, comfortable bed sheets are an easy way to up the luxury factor of your bed. A set of sheets that we like is the Cosy House Collection 1800 Series Bed Sheets because they are a soft, comfortable, silky high-grade hypoallergenic, dust-mite resistant microfiber. 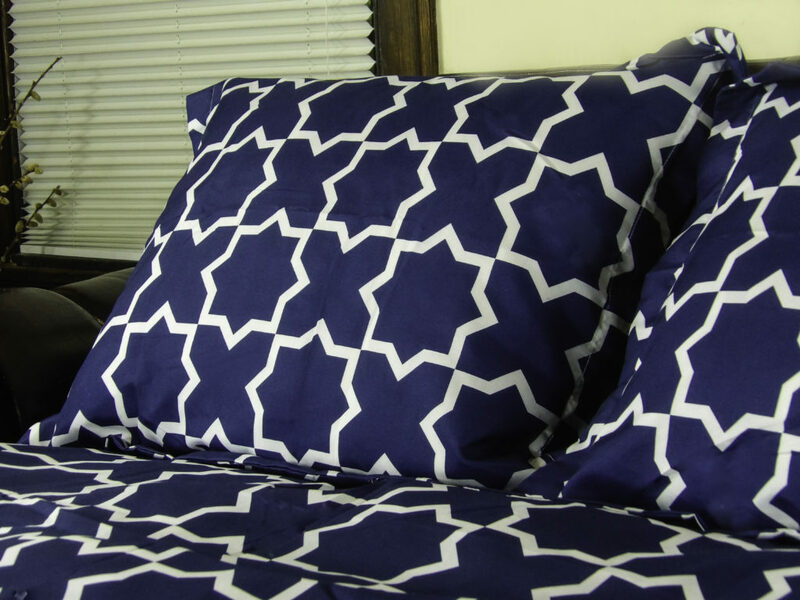 The set includes four pillowcases and comes in several vibrant colors. I have owned my share of luxury bed linens in my day, and once you sleep on high-thread-count sheets, you don’t want to go back to “regular” sheets because they feel scratchy in comparison. 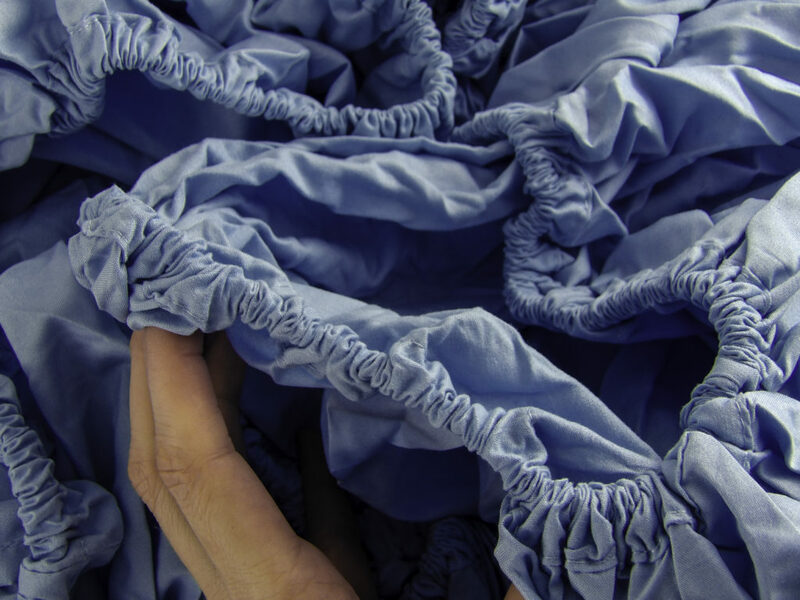 Luxury linens are often difficult to care for, high-priced and are not always so durable. So I like The Cosy House Collection 1800 Series Bed Sheets because not only are they so very soft and silky like my pricey luxury linens, but they have several features my other luxury linens do not have. The sheets come in several colors: White, Ivory, Cream, Burgundy, Gold, Taupe, Baby Blue, Chocolate, Navy Blue, Purple, Sage Green. We selected the purple to coordinate with an autumnal-themed color palette of coppers, dark browns, and gold. It also looks good in the summer paired with a white duvet and decorative pillows. 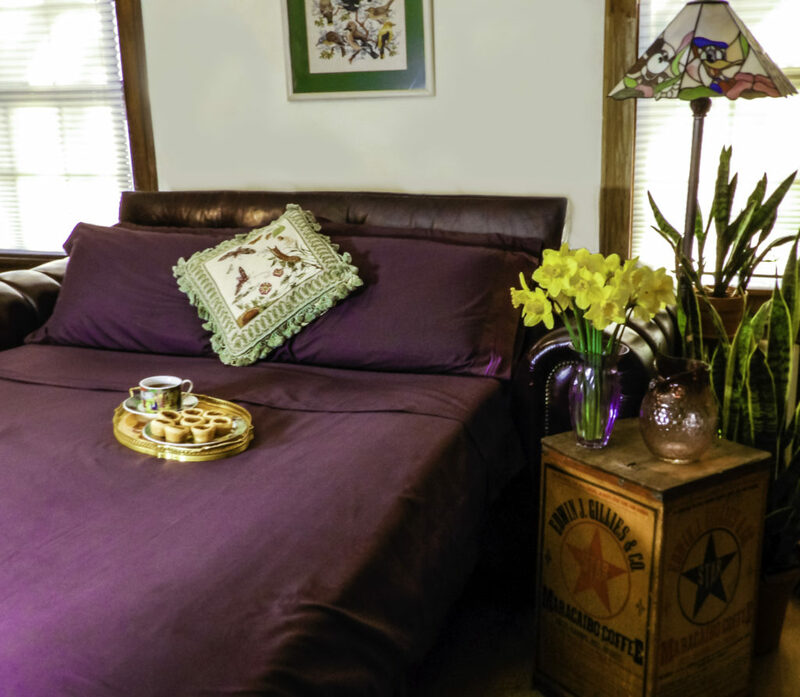 I love how the purple looks with other bright, pretty colors, and it makes for such an inviting guest bedroom. Another feature is that these the sheets are resistant to stains and fading. The no-fade feature is a perk since the sheet set comes in so many lovely, vibrant colors. The sheet sets come in Twin, Full, Queen, and King. The pillowcases have color-coordinated stitched detailing. I particularly like that this set has FOUR pillowcases, allowing for all matching pillowcases if you like to use more than one pillow, or the ability to switch out pillowcases each night and have one spare to wash, as is the recommendation for keeping your facial skin as clean and clear as possible. Sumptuous and silky! They are very soft because of the premium double-brushed microfiber. They are also breathable, making them feel fresh and comfortable on warm, humid nights, yet cozy and warm on colder evenings. I got the Queen size set, the dimensions are generous and easily fit onto my pillowtopper mattress. The Flat Sheet measures 105″ x 90″, the Fitted Sheet measuring 80″ x 60″, and the Pillowcases are 20″ x 30″, which is plenty of room even for my super fluffy pillows. The bottom sheet stays in place: the bottom fitted sheet has elastic all the way around, not just on the corners, so it stays put on the mattress, even on deeper pillowtop mattresses like mine, about 16 inches. These sheets are also good for mattresses plus mattress toppers such as an egg crate or foam topper. The sheets fit taut and stay put, and I like not having to remake the corners of the bed in the morning. The sheets also fit on not so deep mattresses including my pull out couch for guests. I like to add a mattress topper to make the guest bed more comfortable, and these sheets accommodate this nicely. DURABLE: A great feature of these sheets is how durable they are which is surprisingly considering they feel so sumptuous and silky. Despite being so soft to the touch, due to their ultra-tight knit, the fabric is stronger than cotton. They did not rip or tear after washing and drying. WRINKLE RESISTANT: The fabric resists wrinkles, any wrinkles seen after unpacking the sheets smooth out after being in the dryer. 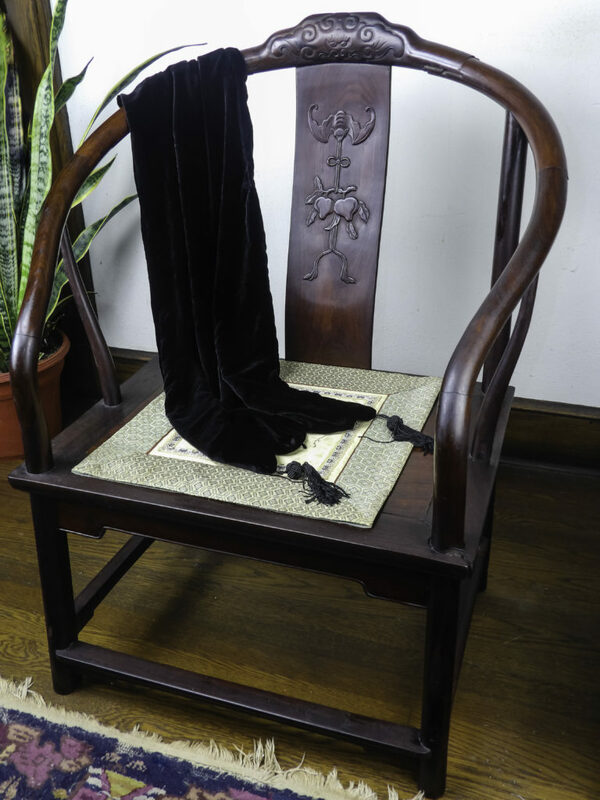 HYPOALLERGENIC: The fabric is hypoallergenic and resistant to dust mites. If you have allergies, this set is for you. Soft enough for sensitive skin, yet resistant to irritants like dust mites. These Cosy House Collection sheets are soft, silky and luxe enough to give as a gift, and they come in a tassel-trimmed zippered sturdy case that makes them easy to give as a gift and to store them in tight spaces like a first apartment. A lovely wedding or housewarming gift, or as a gift for yourself! These sheets come with a Lifetime Warranty: if you are unhappy, send a photo of the problem, and they’ll send a replacement set, and you don’t even have to go through the hassle of returning the original sheets! A luxe bedding sheet set like this Cosy House Collection 1800 Series Luxury Bed Sheets Set is a lovely indulgence for a good nights sleep, for lounging around in bed on a relaxing Sunday afternoon watching movies or reading, having a lazy, leisurely breakfast and enjoying your silky, soft bedding. The Cosy House Collection 1800 Series Luxury Bed Sheets set is durable with features like deep fitted corners for pillowtop mattresses, easy care, hypoallergenic, wrinkle, and fade resistant. It is also so luxuriously soft on the skin and comes in many beautiful colors to match your winter and spring bedding decors. Style Chicks received The Cosy House Collection 1800 Series Luxury Bed Sheets Set in exchange for our unbiased review and received compensation for our time and effort. However, our experience with the product and the opinions expressed in this review are 100% ours. Quality bed sheets are an affordable luxury that makes for a better nights’ sleep. Better sleep means a restored body, improved metabolism, glowing skin and feeling mentally alert and more energetic. The more rested you are, the better you look and feel. Cosy House Collection Bamboo Bed Sheets are not only soft and comfortable but have several features that make them worth owning. Cosy House Collection Bamboo Bed Sheets are perfect for spring weather, silky soft, breathable and come in so many beautiful colors! Cosy House Collection Bamboo Bed Sheets are a silky Microfiber Blended with Rayon that is made from Bamboo. The result is a combed soft, silky yet durable combination. 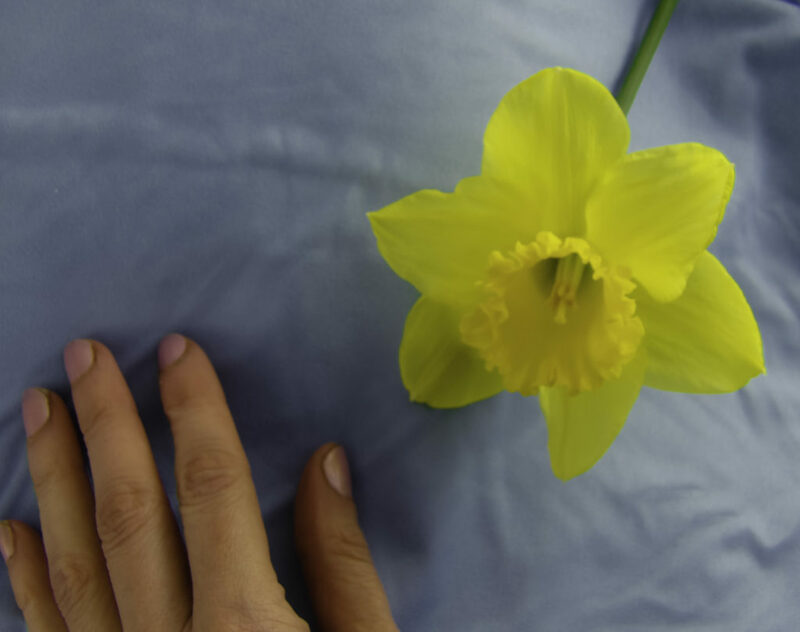 We got the Queen size “Baby Blue,” a bright color just in time for spring. Contrary to the name, they are not juvenile looking, they are vibrant and look beautiful with other pastels, brights, or sea greens, sandy browns, whites and blues for a beach house bedroom look. 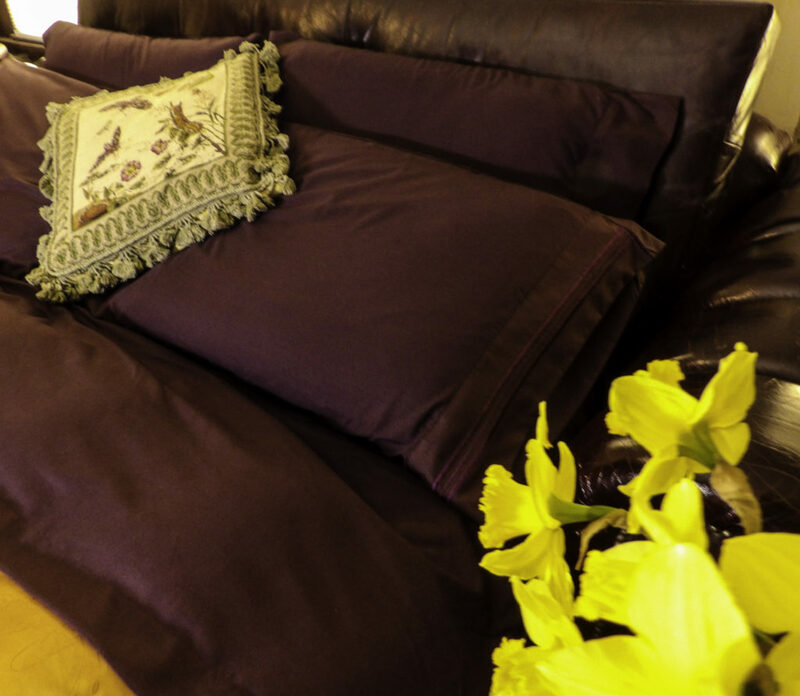 The sheet set is available in several vibrant colors including Black, White, Cream, Burgundy, Gold, Lavender, Taupe, Baby Blue, Grey, Chocolate, Tan, Purple, Royal Blue, Sage Green, Dark Teal, and Navy Blue. I love all the vibrant colors that can mix and match with your style and personal collections to make a statement in a bedroom, and they are so versatile. 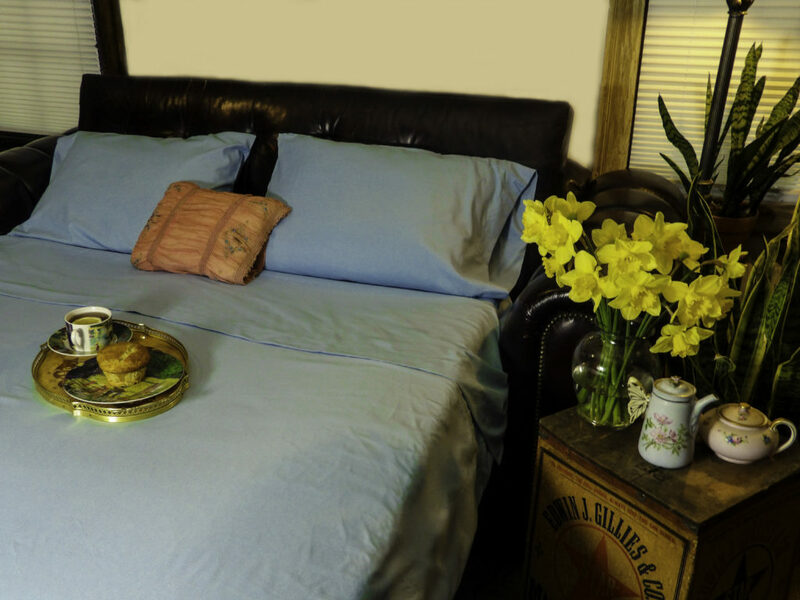 The sheets are available in Twin, Full, Queen, King and California King sizing. I find my Queen set to fit well on both my bed and my pull-out couch for guests. 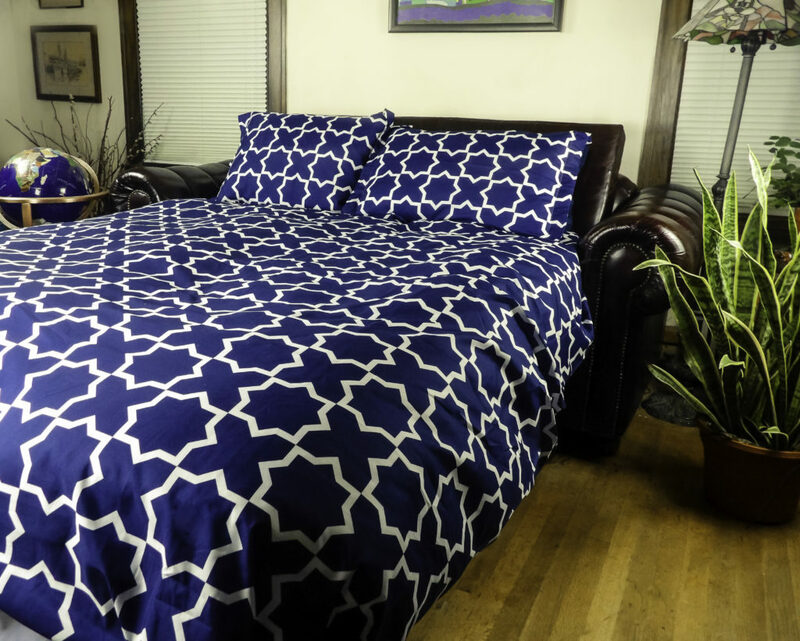 The sheets are a fabric blend of 40% rayon made from bamboo and 60% microfiber polyester. The microfiber feels silky, and the bamboo feels very soft. Bamboo sounds like it would be scratchy and uncomfortable, but it makes for soft, durable fabric that is hypoallergenic and very comfortable to sleep upon. So soft and silky smooth to the touch! Not only are they comfortable to sleep on, but they are wonderfully cozy for lounging around on a relaxing Sunday morning, having a leisurely breakfast while watching a movie or catching up on a good book. 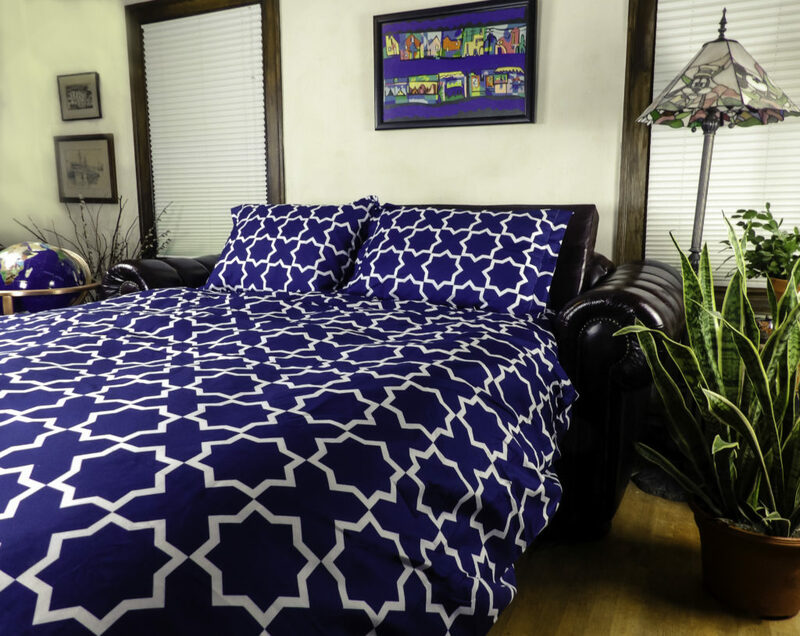 If you have found microfiber comfortable to sleep on but flimsy and unable to withstand washing, you will like this set because it has the soft combed comfort of microfiber, but the Bamboo makes them durable. They hold up to laundering in the washer and dryer without frayed stitching, fading or shrinkage. The elastic retains its’ strong tension springy-ness without stretching out or fraying even after washing and drying. The sheets are also stain and wrinkle resistant. The properties of bamboo make for an excellent bedding fabric because of its’ softness, strength, durability, anti-microbial and ability to keep a hypoallergenic environment that is as clean as possible. In addition to how soft and durable these sheets are, one of my favorite features of this Cosy House Collection sheet set is that the elastic on the fitted bottom sheet is so durable. It is elasticized all around, so it stays put on my deep pillowtop mattress all night without needing to refit the bottom sheet again each morning. The deep pocket fitted bottom sheet is 39″ x 75″ and easily fits on oversize mattresses or mattresses with an egg crate, foam or another mattress topper that is up to 16″ deep in total. There is also a bit of stretchy give. 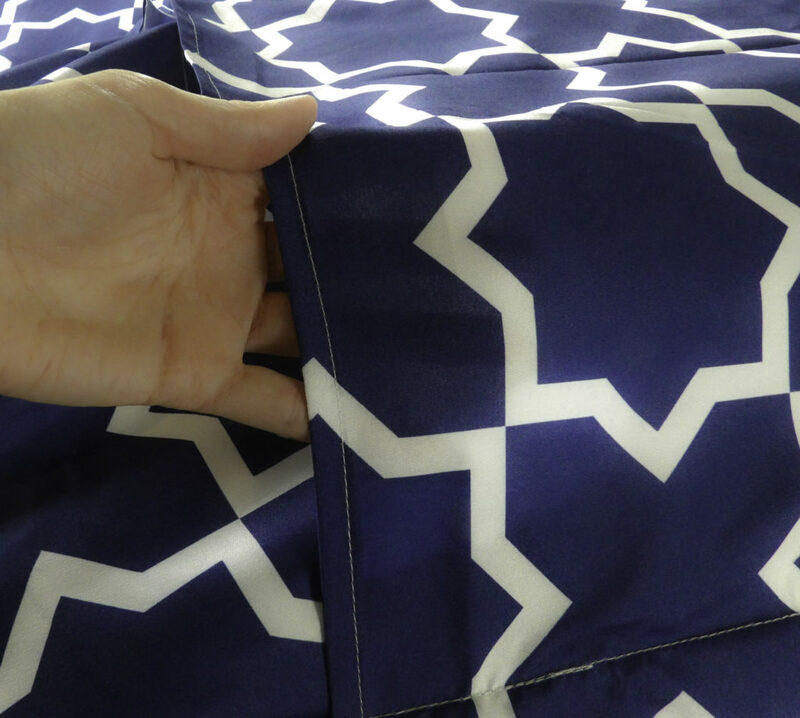 Another feature I like is how the pillowcases have a special fold-over design to secure the pillow inside the case so that the pillow does not slip out during the night. Bamboo is naturally hypoallergenic. 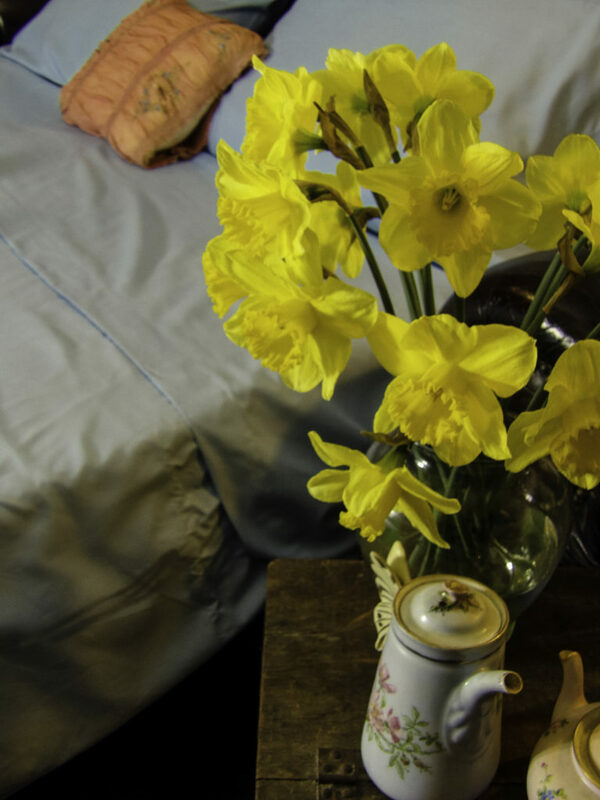 These sheets resist pollen, dust mites & harmful bacteria. Suitable for those with allergies and asthma, both children and adults. 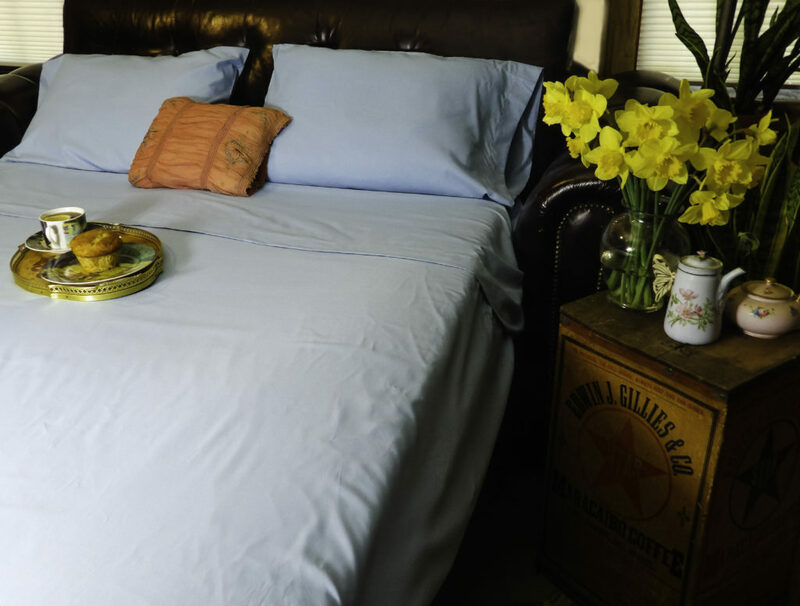 A very desirable feature of the Cosy House Bamboo Bed Sheets is that they are breathable. This makes them cooler to sleep on in the summer and warmer in the winter. Bamboo absorbs moisture four times better than cotton, wicking and evaporating it away from the skin. Here in New England this week, we had a few very chilly nights and a few days we reached temperatures in the high seventies, and I found these sheets and the pillowcase to be refreshingly cool when it was too warm yet remain cozy when I was chilly. This makes for a perfect year-round sheet set or for these transitional temperature times of the year. Wash in cold water with similar colors, air dry or low heat. 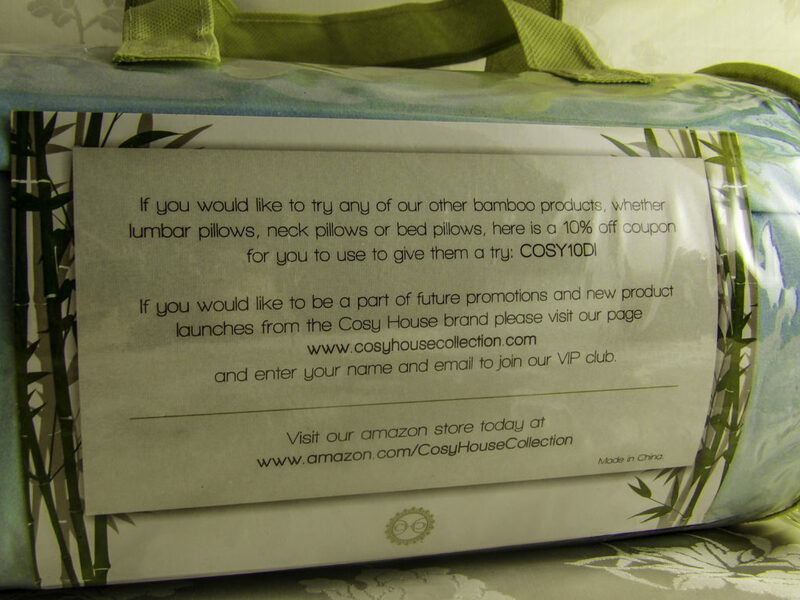 The Cosy House Collection sheets come with a Full Lifetime Warranty. 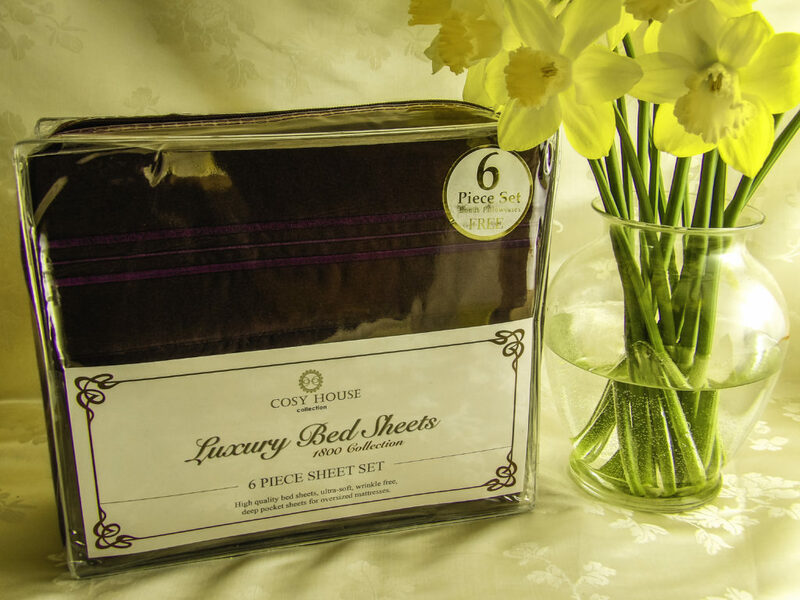 If you do not like these sheets, contact Cosy House (see the contact information on the packaging) and they will refund or replace your sheet set. Cosy House Collection Bamboo Bed Sheets an Affordable Investment in a Good Night’s Beauty Rest. Soft, comfortable, silky, durable, hypoallergenic, wrinkle and stain resistant, these sheets fit deep mattresses up to 16″ with a bottom sheet with sturdy elastic all the way around, not just on the corners. They come in several vibrant and versatile colors to complement your decor and make for a very charming guest bedroom. Good sheets make for a much better sleeping experience and Cosy House Collection Bamboo Bed Sheets feel luxuriously soft while being durable. Style Chicks received the Cosy House Collection Bamboo Bed Sheets in exchange for our unbiased review and received compensation for our time and effort. However, our experience with the product and the opinions expressed in this review are 100% ours.